Don’t forget to turn your clocks back tonight… at least here in many places in the Northern Hemisphere. 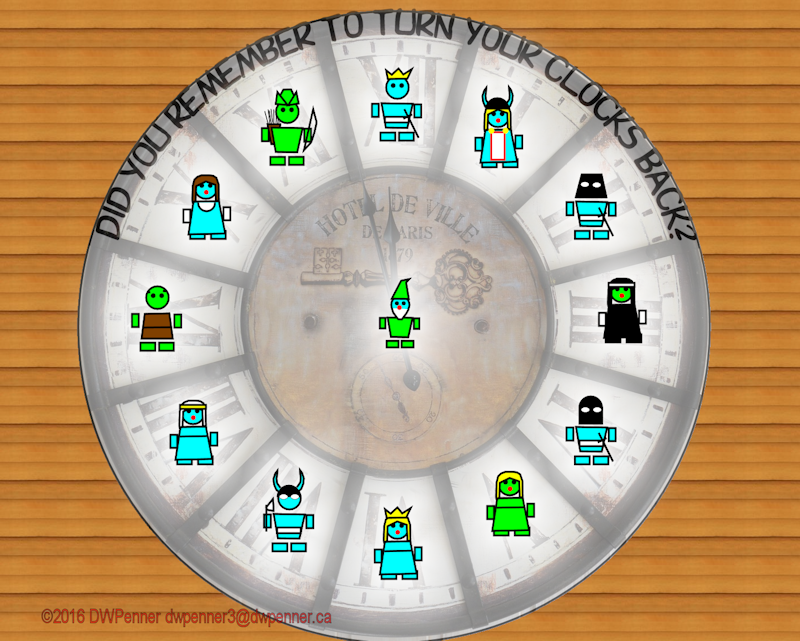 In the Southern Hemisphere in many places you have already turned your clock forward. 🙂 Confusing, huh. BTW who collects all the interest on the time saved with Daylight Savings time? This entry was posted in Special, Uncategorized, Writer's Words and tagged Clock, Daylight Savings Time, Fall Back, special day, Spring Ahead by DWPenner. Bookmark the permalink.